There isn’t anything quite as relaxing and reviving as a well-spent day at the spa. This summer holiday, take some time out to treat yourself with a spa getaway at ShuiQi Spa & Fitness, a multi-award winning luxury spa in Dubai’s Atlantis, The Palm. There’s a whole lot of facts and interesting details about this luxurious spa destination that will spark your curiosity. 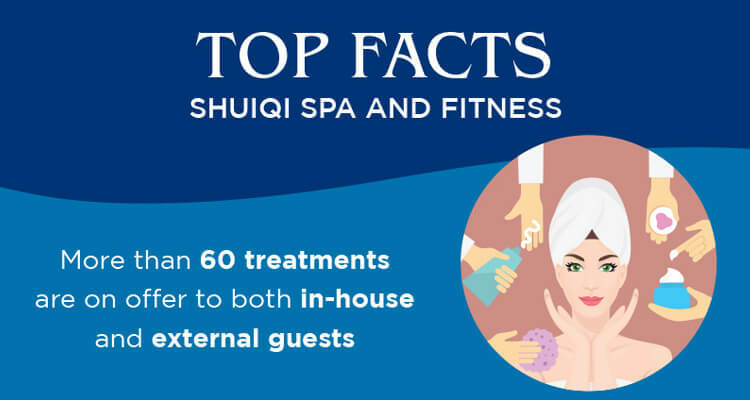 From offering the most expensive and unusual treatment to winning prestigious international awards in 2017, scroll down to discover top facts about ShuiQi Spa & Fitness in Atlantis Dubai. Set over two magnificent floors in the West Tower, ShuiQi Spa is a luxurious spa haven to add to your relaxing holiday experience. It’s a beautifully crafted private space that offers an oasis of peace and tranquillity in each of its 27 treatment rooms, with separate male and female relaxation areas and changing rooms. A team of 17 professional therapists ensure that you feel relaxed, renewed and restored with every visit. 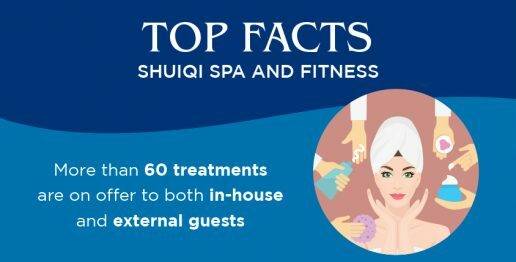 With everything from luxurious pampering treatments and personalised skincare programmes to expert medical spa services and a range of therapeutic massage treatments, ShuiQi Spa is a leader of spa services in the region and is a great choice for families, couples and business travellers to unwind. As is the case in most of the spas, massages are the go-to spa treatments at ShuiQi, with a majority of guests requesting a ShuiQi Swedish Massage (traditional body massage) and the Aromatherapy Associates De-Stress Massage (a stress relieving massage). Not only do these treatments give your body an instant pick-me-up, they work highly active essential oils deep into tight, aching muscles for a soothing, stress-busting experience. 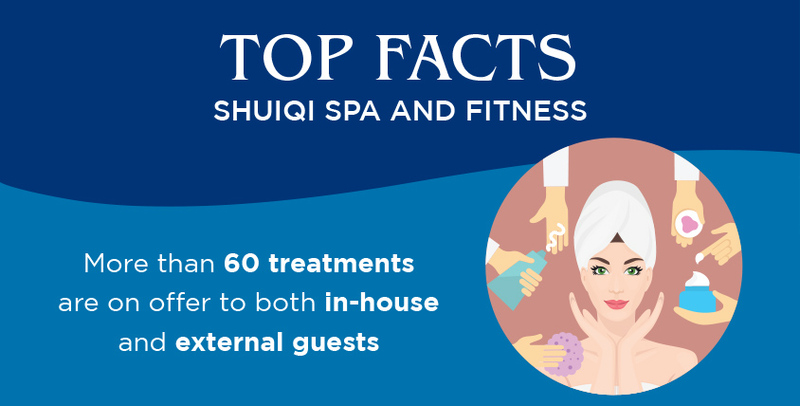 Besides being popularly known as the ultimate destination for spa and beauty treatments in Dubai, ShuiQi Spa offers exceptional couples’ spa treatments too. The truly intimate and pampering experience of the exclusive Japanese Ritual Massage treatment in the privacy of ShuiQi’s ‘Royal Spa Suite’ just can’t be surpassed by any other spa in Dubai. 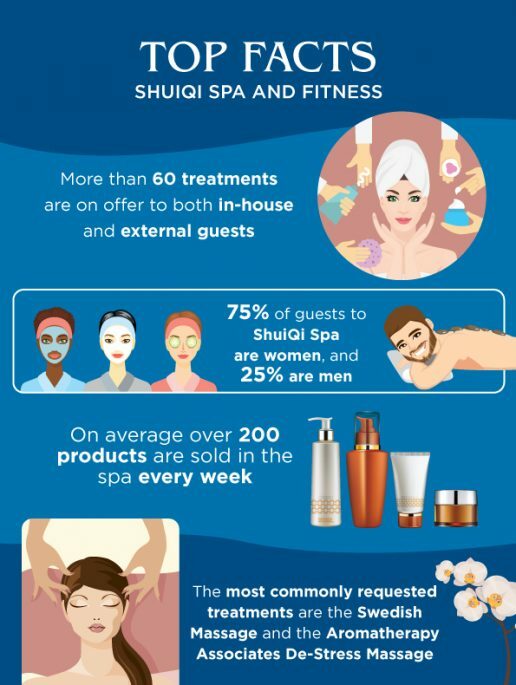 A wide variety of bespoke spa products by ShuiQi’s internationally renowned brands, such as Shiseido, ESPA, Aromatherapy Associates, Bastien Gonzalez, Dr Burgener and Gentlemen’s Tonic, are sold every single day to allow guests to take the experience home. Guests staying at Atlantis, The Palm take advantage of the exclusive spa packages on offer and experience a luxury spa evening before dining at one of the resort’s signature restaurants. Take a look at our treatment menu and choose the perfect spa package for you. 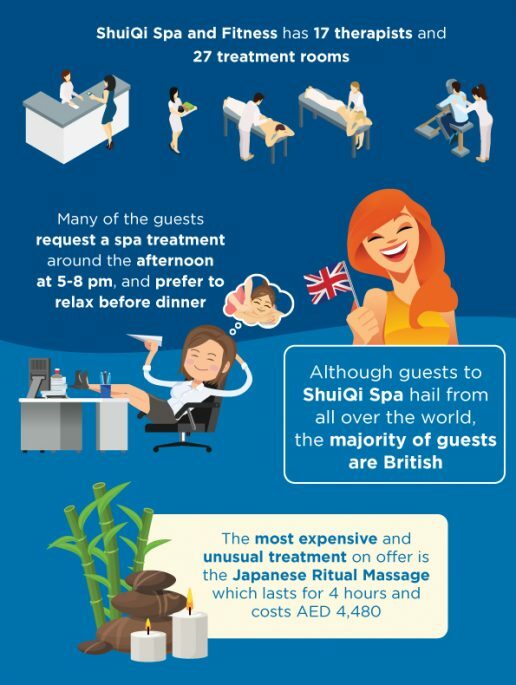 ShuiQi Spa has more going on than any other spa and fitness centre in Dubai and that’s precisely what attracts guests from all over the world, especially British visitors who view it as a must-visit spa destination. ShuiQi Spa is a spa escape in Dubai for both women and men who seek relief from stress and strain of everyday life with a range of relaxing spa treatments. But it is a firm favourite with the ladies for its salon services and world-renowned beauty treatments. ShuiQi Fitness Centre is a state-of-the-art fitness centre with a full line-up of fitness products and solutions in partnership with Technogym’s high-end ARTIS range, the first of its kind in Dubai. It includes a complete integrated collection of equipment for Cardio (Treadmill, Elliptical, Vario, Bike and Recline), Strength, Functional workouts (kinesis and OMNIA) and Flexibility. Customised training sessions and a range of fitness classes are on offer. Besides being the perfect workout space, ShuiQi Fitness Centre is also an ideal place to drop in for some healthy snacking. Fresh fruits are the perfect conclusion after a visit to the ShuiQi Fitness Centre. 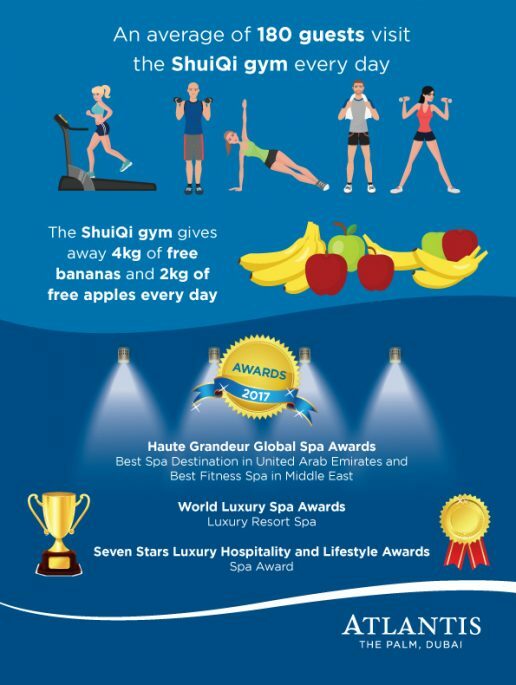 ShuiQi spa has staked its claim as the best spa destination and luxury resort spa in the UAE and the Middle East with a slew of awards to its name in the year 2017 alone. Whether you are looking for a weekday pick-me-up with a spa treatment, work out some of the kinks in your body with a relaxing massage, reconnect with your partner with an indulgent couples’ day spa package experience capped off with sparkling wine and strawberries with chocolate in your very own treatment suite, a medley of unique treatments and spa pleasures await you at ShuiQi Spa. If you’re more of a visual spirit, then feel free to look at Atlantis’ ShuiQi Spa and Fitness Top Facts Infographics.